Google rolled out the new generation comprehensive Penguin 2.0 (version 4) update on May 22nd, 2013 affecting 2.3 English US queries. This was announced by Google Web Spam engineer, Matt Cutts in his blog. 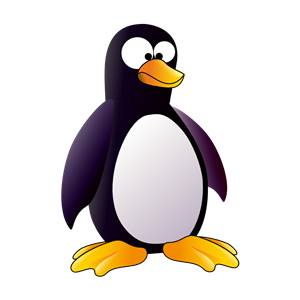 Are you ready for the next generation Penguin 2.0? Sites selling links are affected negatively. Sites lacking natural backlinks are affected. Too many results from the same domain have reduced. Sites receiving strong social links like Google Plus Ones are promoted. Sites having high quality authority backlinks are promoted. Local keywords have had a lesser impact. Sites having too many same anchor text backlinks are affected. Sites lacking original and authoritative content are affected. Sites having a solid and high quality link profile are promoted. Penguin 2.0 Still Showing Spam Results? How to Keep Your Site Safe? Analyse your site's link profile and remove all the low quality backlinks linking to it. Analyse the content of your site. Quality, original, informative and authoritative content is required. Remove all low quality and duplicate content. Identify the type of outbound links your site is providing. Any spammy link can be a reason of penalty. Is your site missing social signals? Gather social love for your site in order to make it count in the eyes of Google. If your site is into the practice of selling links or buying links them stop that immediately and submit your site for reconsideration.